Ihave brought from the land of ancient sages to the modern man of this new world," he said, "a simple technique of living in peace and happines... My life truly began 19 years ago at the feet of my Master when I learned the secret of swift and deep meditation, a secret I now impart to the world." The secret of how to enter this state of bliss was Transcendental Meditation (TM), a technique to still the mind by repeating a single-syllable mantra to oneself two times each day for 20 minutes. His "Three Year Plan," as he called it, for the world's spiritual regeneration would require the training of 25,000 TM teachers and the opening of a like number of meditation centers. This was not pie in the sky. He had done his calculations. He had considered the size of the world's population, and how many people would be needed to meditate per day, per month and per year; and how many would need to be empowered to initiate others; and how many candidates the new initiators would need to handle per week, per month and per year; and what percentage of these must in turn be made initiatorsand three years was all it would take. It was perfectly logical. The next day, however, when Maharishi opened the local paper's report on his press conference he received a brutal shock"Cruel...!" he exclaimed. "I feel like running away, back home. This seems to be a strange country. Values are different here." A reporter had called TM a "non-medicinal tranquilizer." Nevertheless, always looking forward, always moving into the future, Maharishi persevered. In the ensuing months, though he gave countless talks and mantra initiations, it was to little effect as far as numbers were concerned1959 was several years too early. That December Maharishi left America to continue his world tour. Arriving in England, he took up residence at No. 2 Prince Albert Road, London. Like their American cousins, the English, educated in the intellectual tradition of Locke and Hume, didn't know quite what to make of this small Hindu ardently proclaiming he had the secret to human life on earth, that the practice of TM would create a virtual heaven on earth. We belong to the realistic age of science. Let us be sure that all we strive for and achieve remains realistic. Our age of scientific unfoldment does not give credence to anything shrouded in the garb of mysticism. Let us realize the Absolute Being through a scientific and systematic method of achievement whose every achievement will be supplemented by the personal experience. Origin of The Fourth Way? In speaking of mantra as a practical technique, not part of a religious practice or tradition, he had finally positioned it in the right context. In particular, what he said spoke directly to two men who were to be of inestimable help. Both were Fourth Way people of the Ouspensky line. 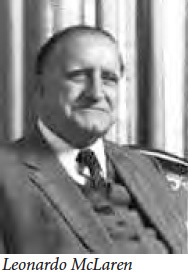 One, Leonardo McLaren, was founder and president of the School of Economic Science. 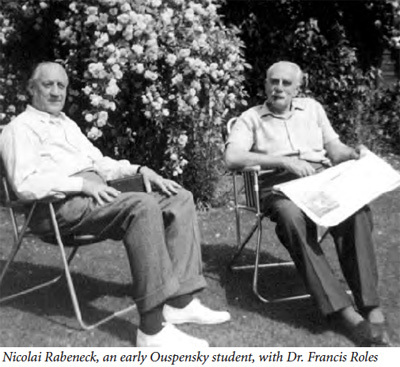 The other, Dr. Francis Roles, a noted lung specialist, had been a pupil of Ouspensky's since 1924. Following his teacher's death in 1947, Roles had taken over the English groups, now known as the Society for the Study of Normal Man. Roles, normally a cautious and careful man, apparently believing TM and The Fourth Way might originate from the same sources, thought the two teachings might be combined, the one for being, the other for knowledge. And so at a large meeting at Colet House, where Ouspensky had taught, Roles, amid flowers, incense and Sanskrit invocations, introduced his students to the diminutive bright-eyed monk. Almost immediately students broke into two camps, those interested in Maharishi and those who believed that the teaching should be kept pure. For his part, Maharishi was not so much impressed with Roleswho felt himself on the same level as Maharishias with his students. Businesslike, disciplined and efficient, many obviously with money and therefore valuable contactsthese were people who could get things done in the world. Keeping private his assessment of Roles, Maharishi flattered the doctor and gave him the power to initiate others in TM. Roles wasted no time in taking charge at No. 2 Prince Albert Road, telling the flower children"There are a good many people here whom we don't want to see any longer." The oriental style booklets and leaflets were trashed and replaced with modern, up-to-date literature. Legal help was arranged for, accountants employed, a bank account opened and a name created, The Spiritual Regeneration Movement of Great Britain. While his movement was getting a makeover, Maharishi continued his world tour. 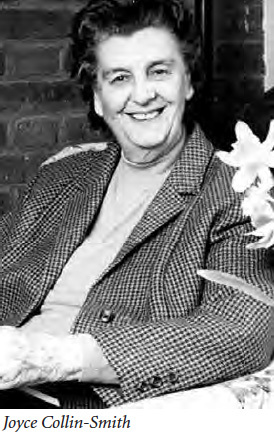 When he returned to London, he told Roles and McLaren he wanted to bring together all the world's TMers by convening the First World Assembly of the Spiritual Regeneration Movement. 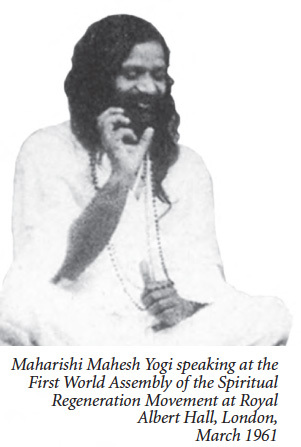 And so in March 1961, with Roles' and McLaren's manpower providing the necessary oversight and organization, Maharishi spoke to a capacity crowd of 5,000 at the Royal Albert Hall. His basic themes remained the same but only more modern sounding. Namely, that it was unnecessary for a householder to practice renunciation for realization, as that practice "is unnatural for him, antagonistic to his nature and opposed to his way of life"; that in order to experience a state of nonattachment, the householder must first be able to transcend thought, and TM offered this direct and easy technique. Declared Maharishi, "TM is no promise of Heaven after death. Here is the positive experience of 'Heavenly Bliss' during lifetime." I saw at once that he was what our first teacher, Mr. Ouspensky, had described to me and shown me: a man who remembered himself. On the shore of the Ganges, to my astonishment, I heard him saying what I'd never known anybody else in the world to say, except Mr. Ouspensky : "Our whole trouble is that we do not remember ourselves." On his return to London Roles announced to his students he had made a link with "the greater master." Letters of spiritual instruction would be regularly coming from his new master. All contact therefore between Roles' students and the Spiritual Regeneration Movement was forbidden. [Maharishi] made a vigorous attempt to turn the powerful Englishman with all the resources and money back his way. For all his skill, his undoubted hypnotic and telepathic power, he could not do so. Those who were there reported seeing an expression of naked anger on the face of Maharishi when he finally realized he had failed to impose his will on a man whom he clearly regarded as being in all ways his inferior. "He looked frighteningly human, not like a Holy Man at all," someone told me. Yes, the technique [we use] is exactly the same as TM, for my friends and I were taught it by Maharishi himself in 1960.... The difference lies only in the fact that we have been encouraged to make it a very private individual affair; our own 'love affair' with our Creator. Maharishi gave me the impression of being a man who knows. People such as Francis Roles were only men who had been taught something and believed ita very different thing.... There seemed absolute honesty of intent. But there was something very unrealistic in the aim [the spiritual regeneration of the world] and his complete belief in it as a real possibility was strange. It seemed inevitable that the world would sully him. The Vedas' concern is with the three gunas. Be without the three gunas, O Arjuna, freed from duality, ever firm in purity, independent of possessions, possessed of the Self. Arjuna's main problem was to reconcile love of kinsmen with the necessity to root out evil.... The Lord makes clear to Arjuna that all influences of the outside world and their consequences as well, will cling to him and affect him so long as he is out of himself, so long as he allows himself to remain in the sphere of relativity and under its influence. Once out of that sphere, he will find fulfillment in his own Self. When the Lord says: "Be without the three gunas" he means that Arjuna should bring his attention from the gross planes of experience, through the subtle planes and thus to the subtlest plane of experience; transcending even that subtlest plane, he will be completely out of the relative field of life, out of the three gunas. So the Lord's words: "Be without the three gunas," reveal the secret of arriving at the state of pure consciousness. Working so closely with Maharishi, Collin-Smith soon discovered "He had a highly intelligent mind, a retentive memory, and that he held a dozen projects in his mind at once and was continually mentally on the move. He was gregarious, talkative, unpunctual and with a smiling charm and a happy laugh that won forgiveness again and again for work done, and put aside and redone by someone else, and then thrown away all together after hours and days of effort."